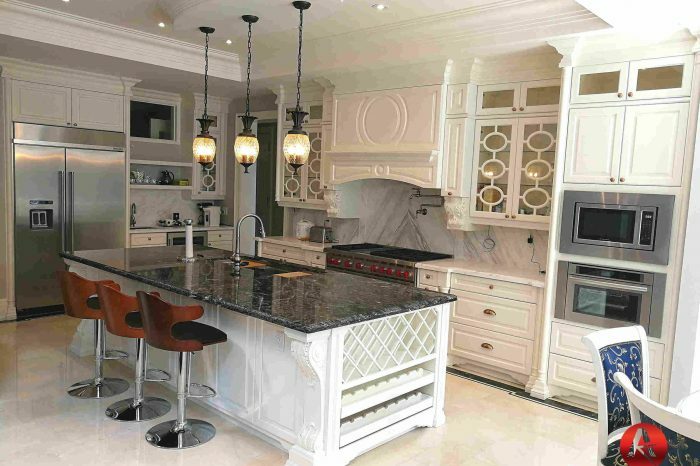 Kitchen Cabinets can make or break your custom kitchen. 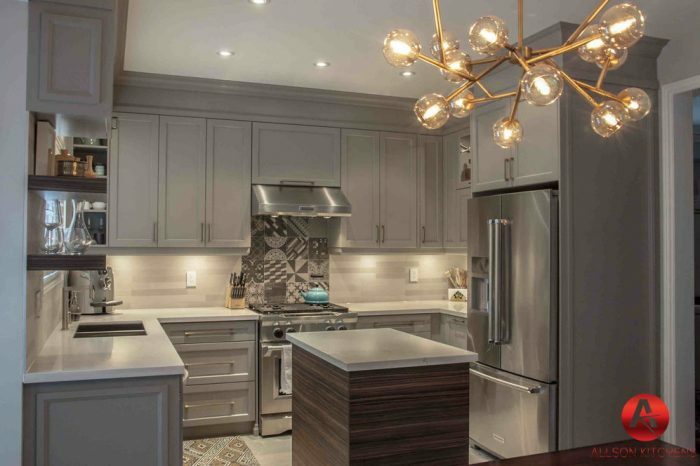 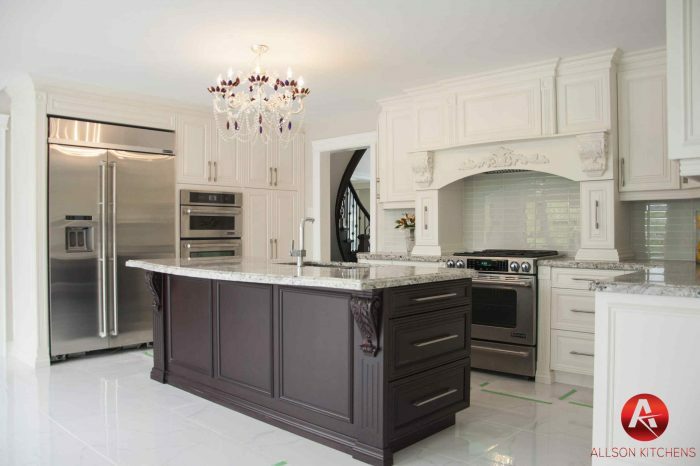 Find the best custom kitchen design, ideas & inspiration to match your style. 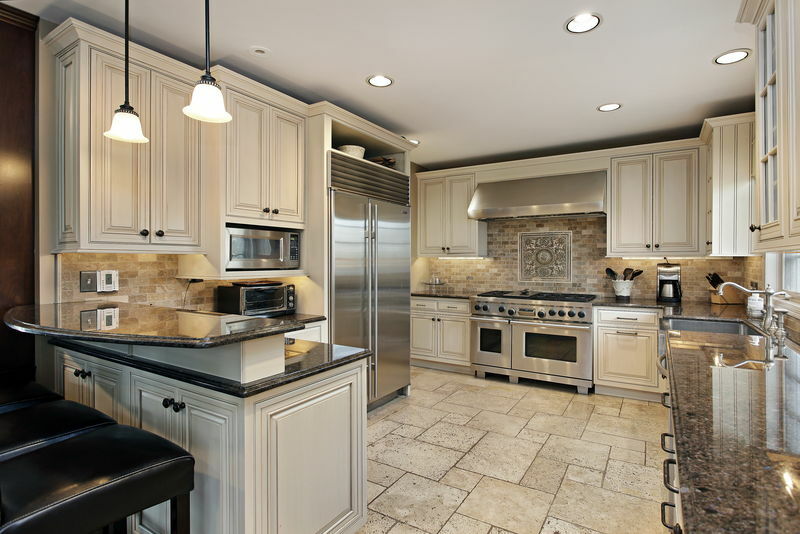 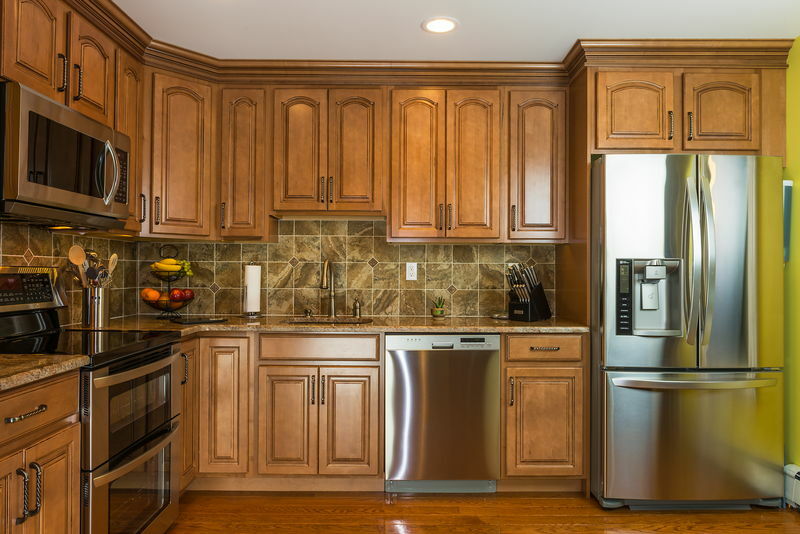 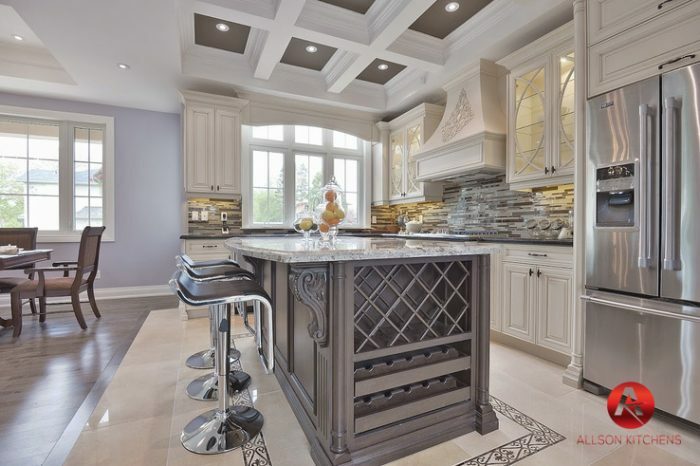 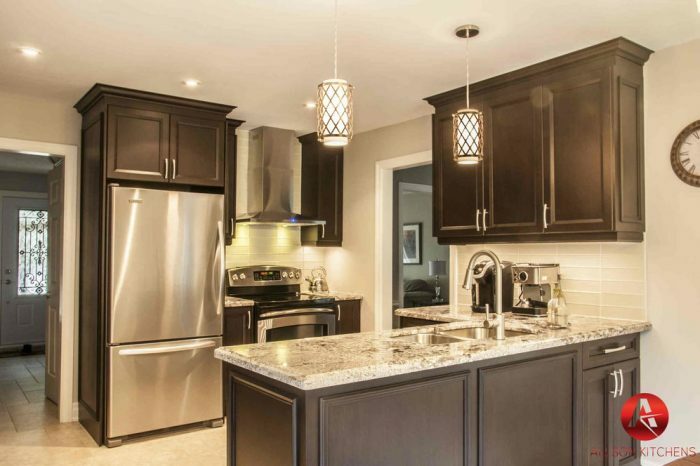 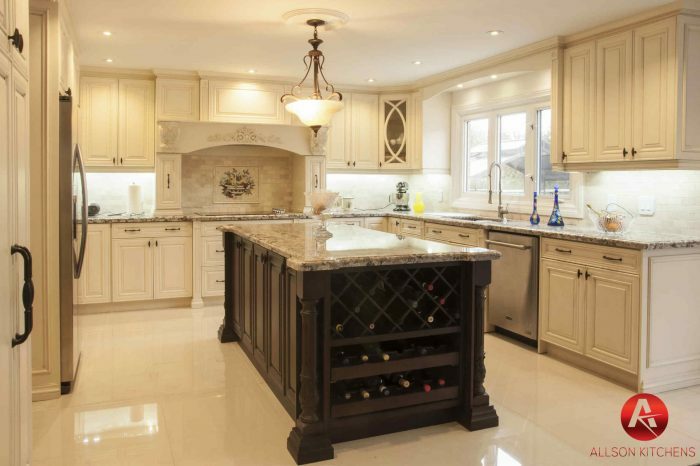 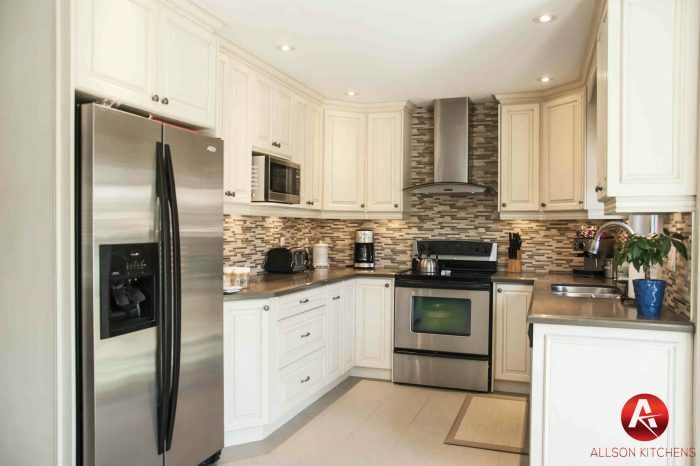 Browse through images of various cabinet styles we incorporated in the custom kitchen. 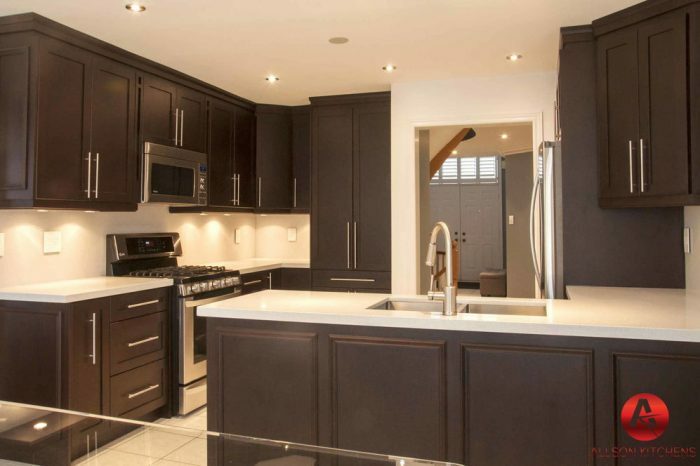 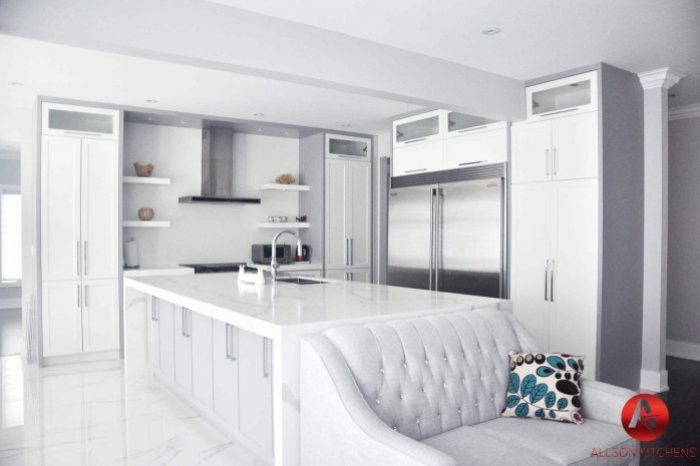 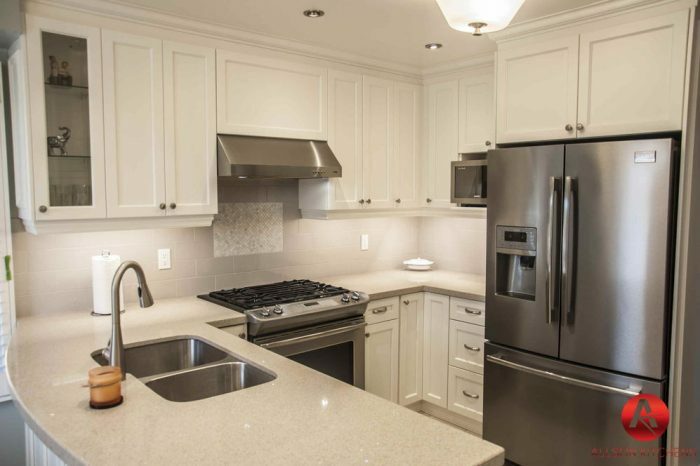 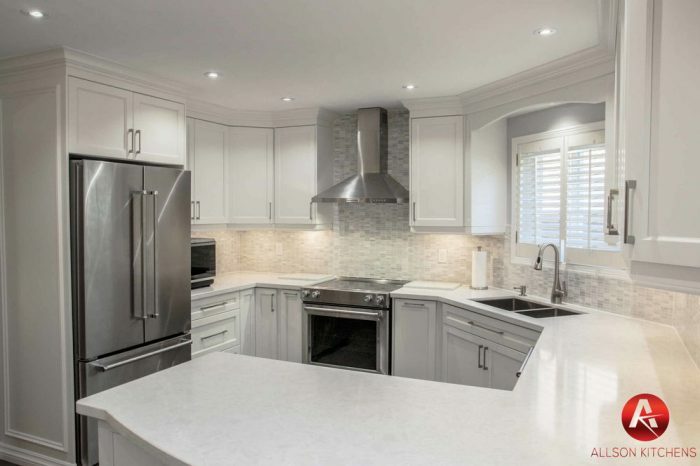 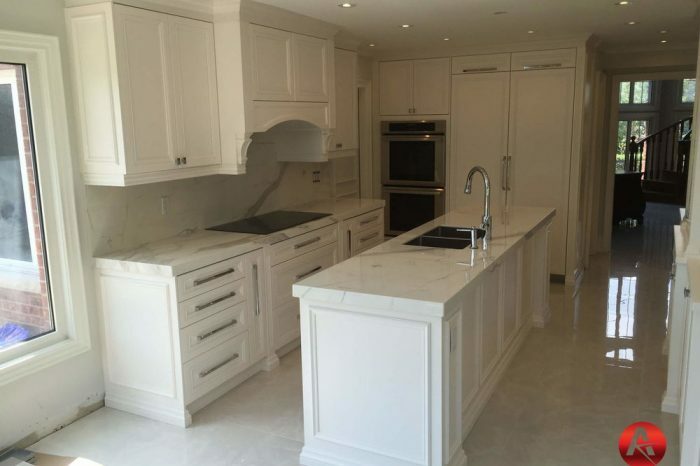 All of our custom kitchens are made specifically with your design and space in mind. 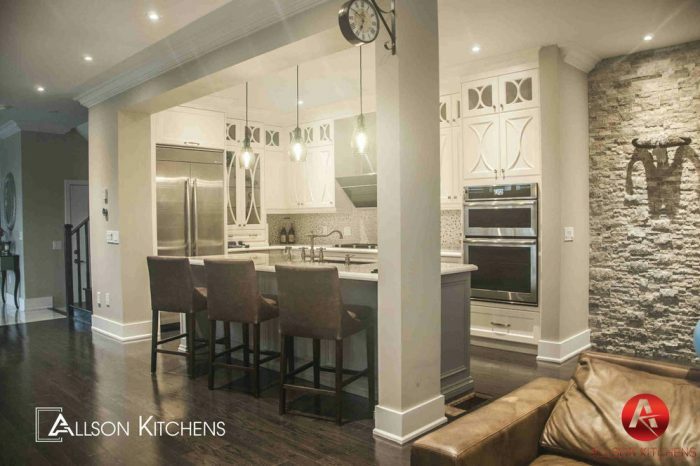 Our designer works with you to create your perfect kitchen, digitally. 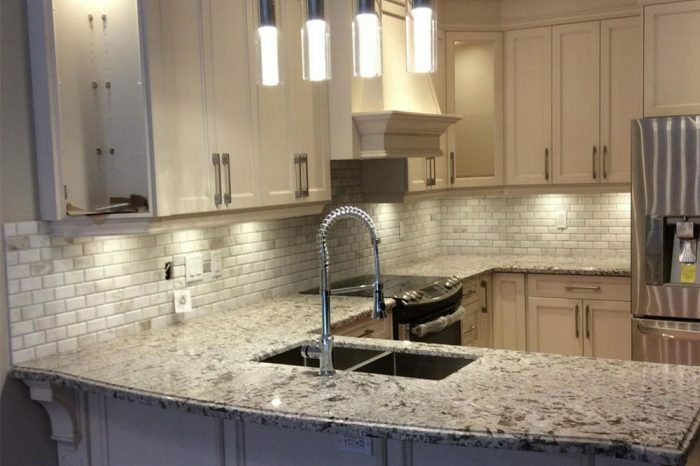 After bringing your design to life digitally, we begin our manufacturing process. 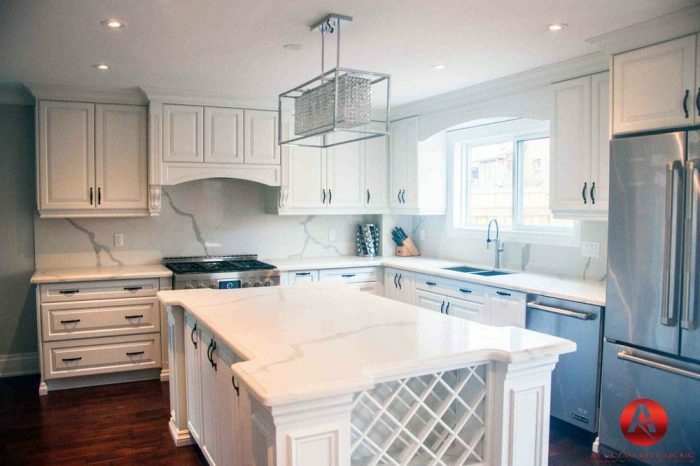 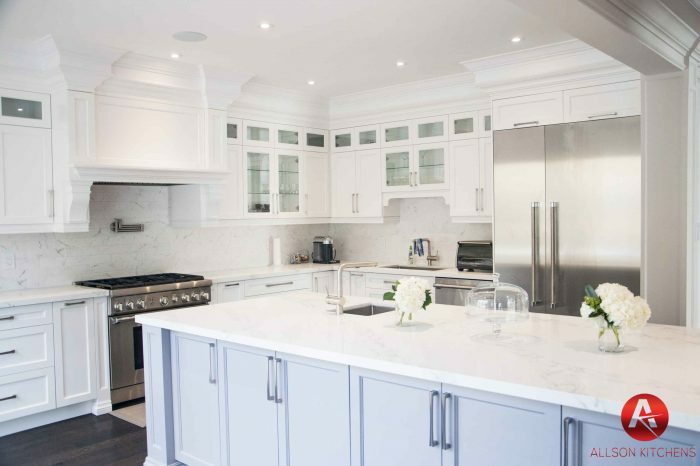 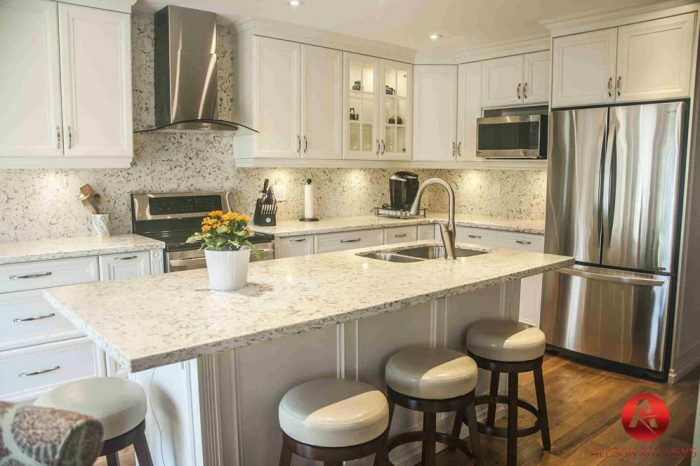 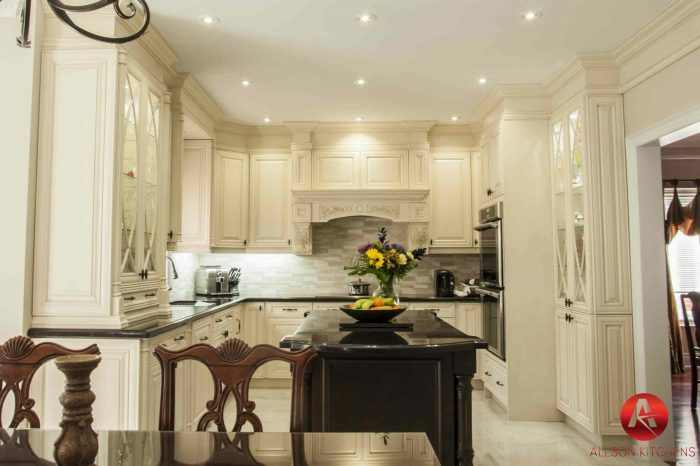 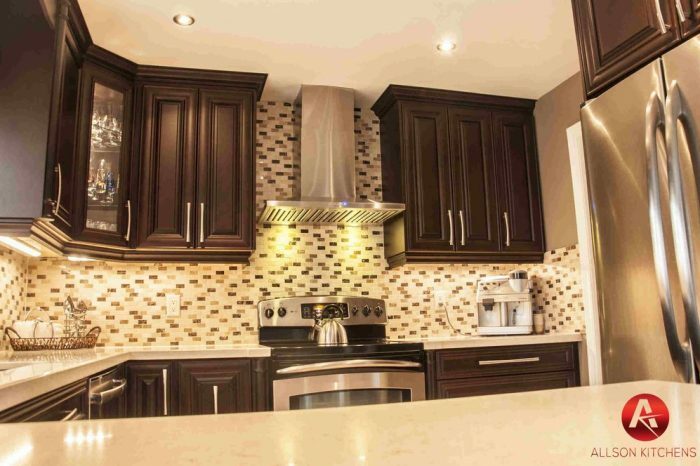 All our Kitchen Cabinets are made in-house and proudly 100% Canadian. 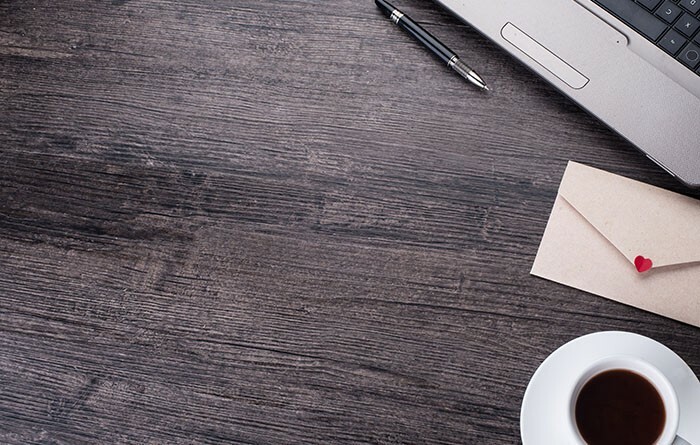 Need some inspirational ideas? 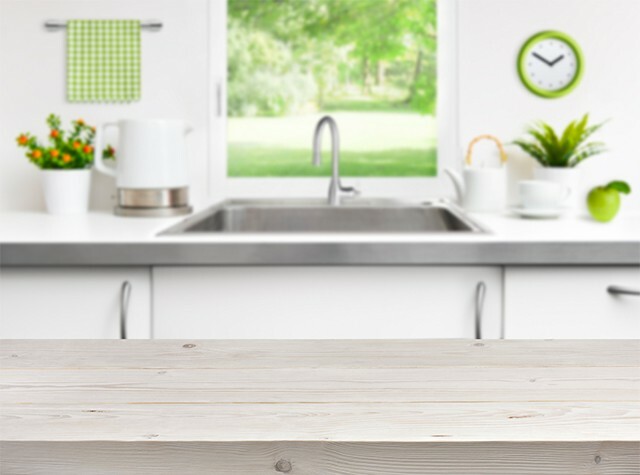 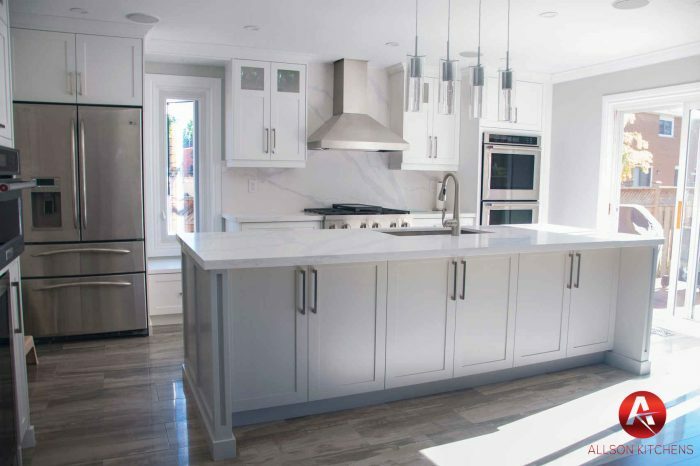 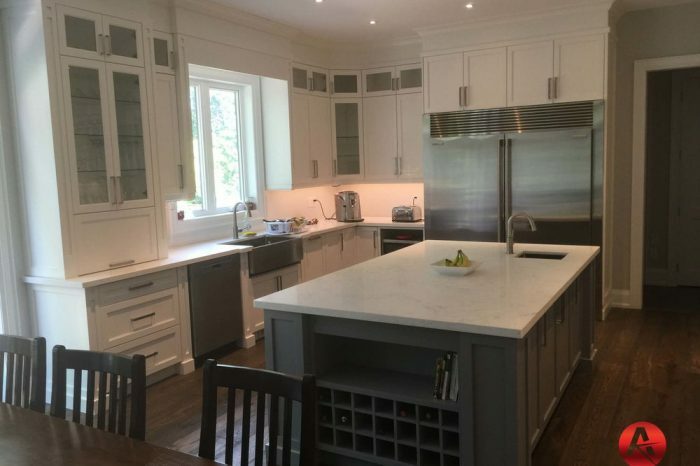 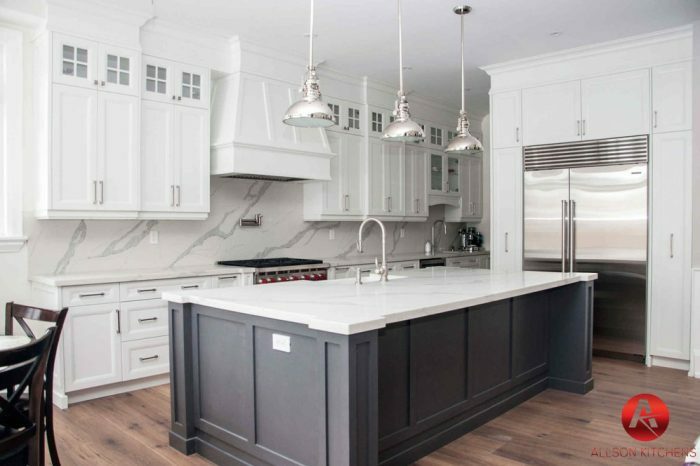 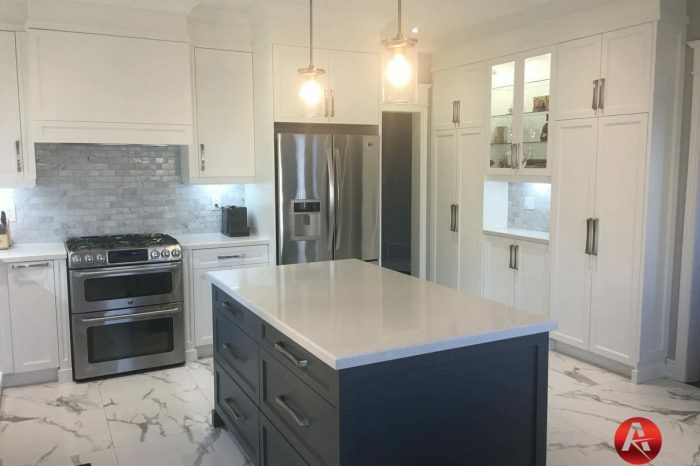 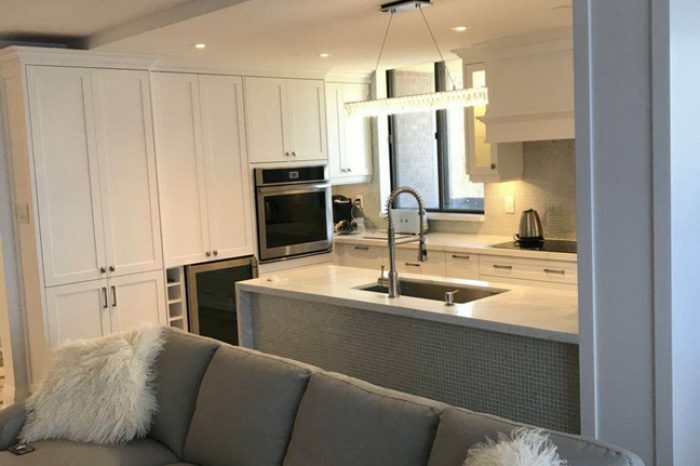 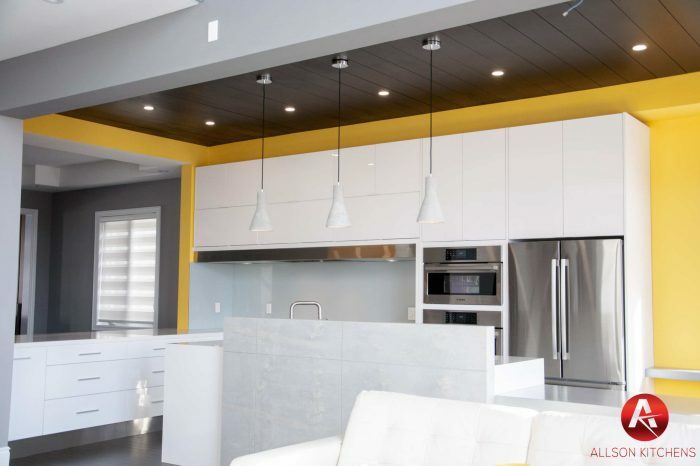 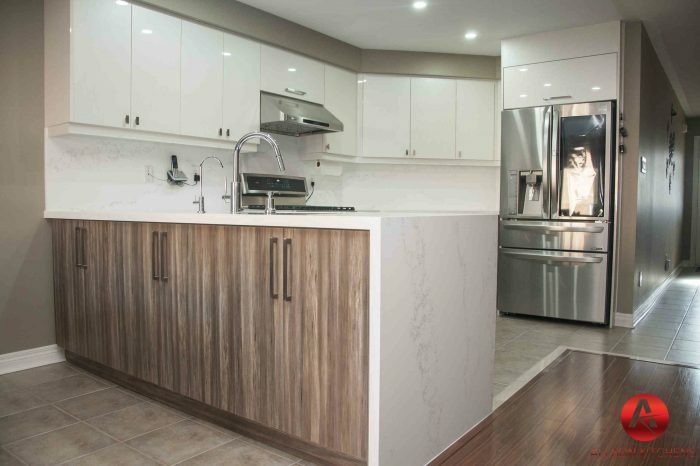 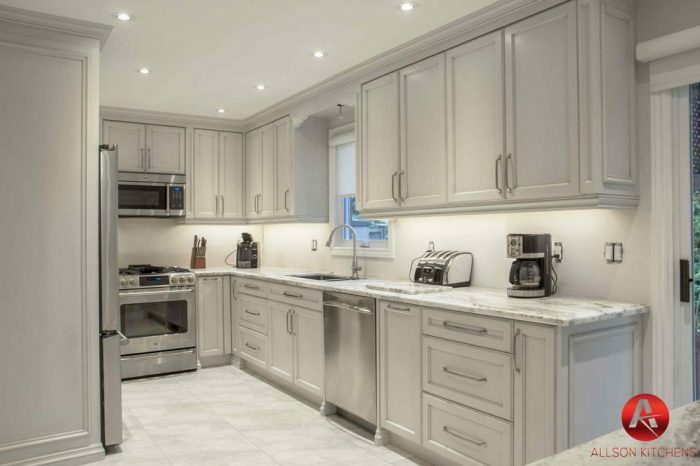 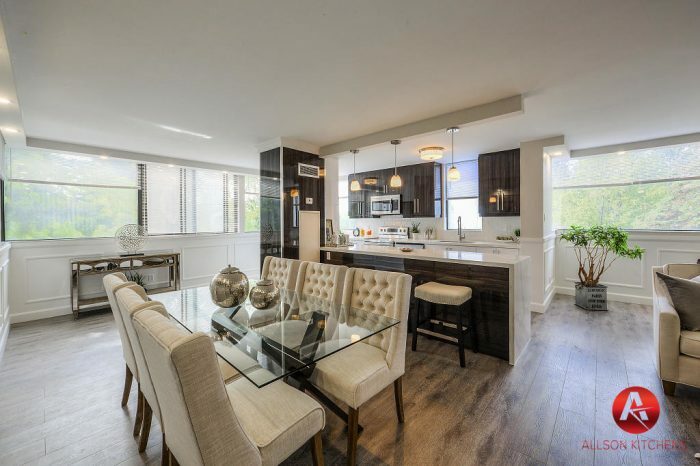 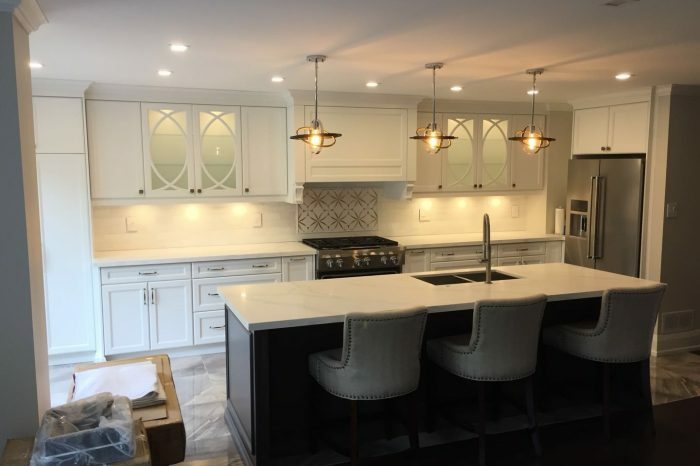 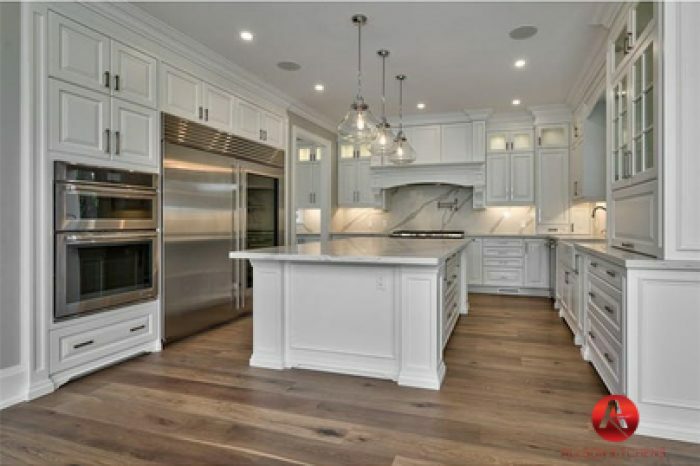 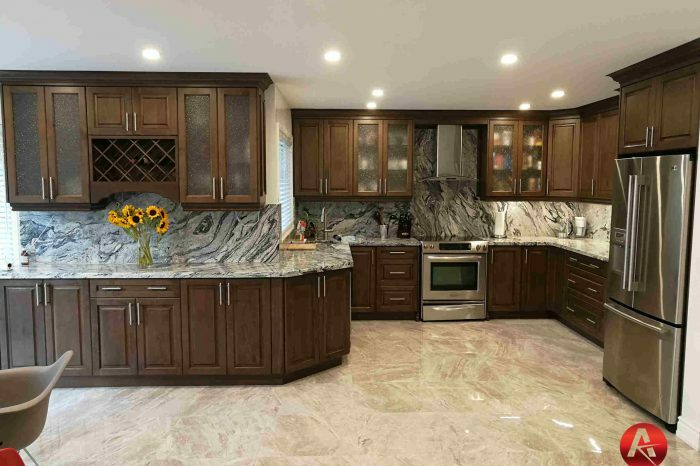 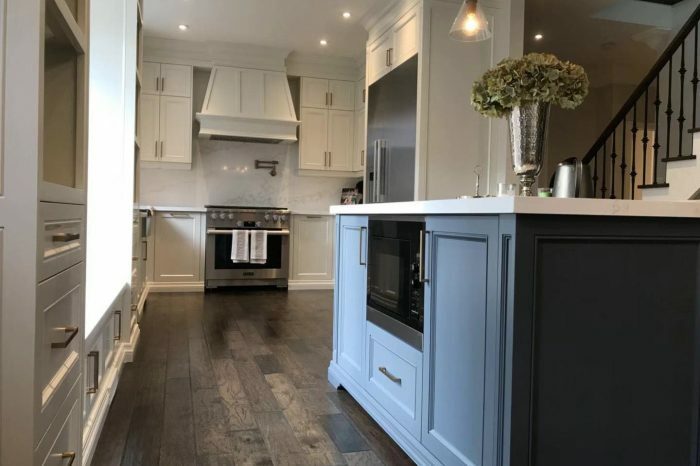 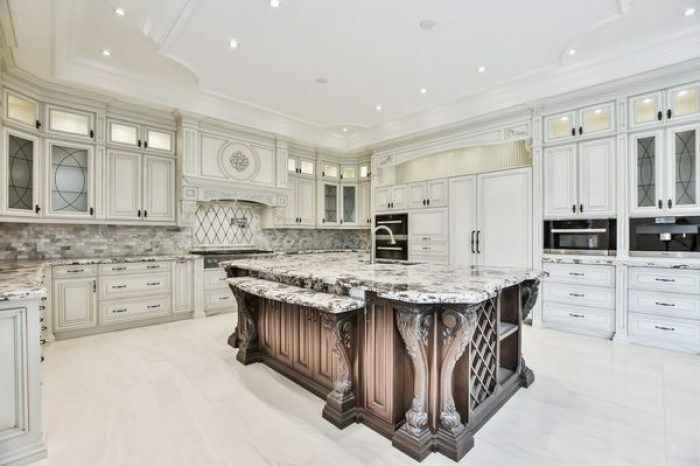 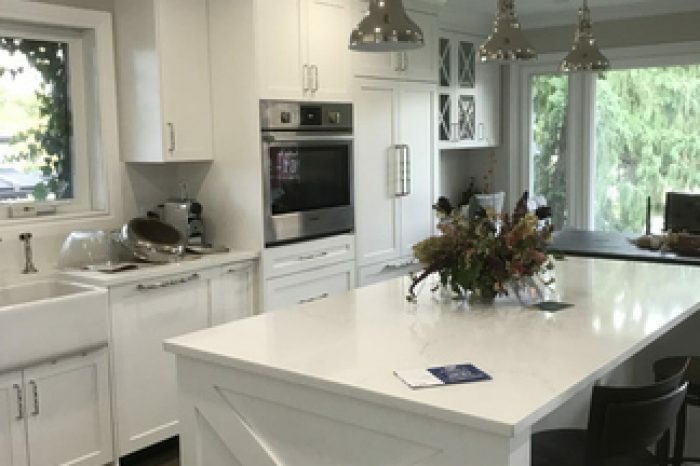 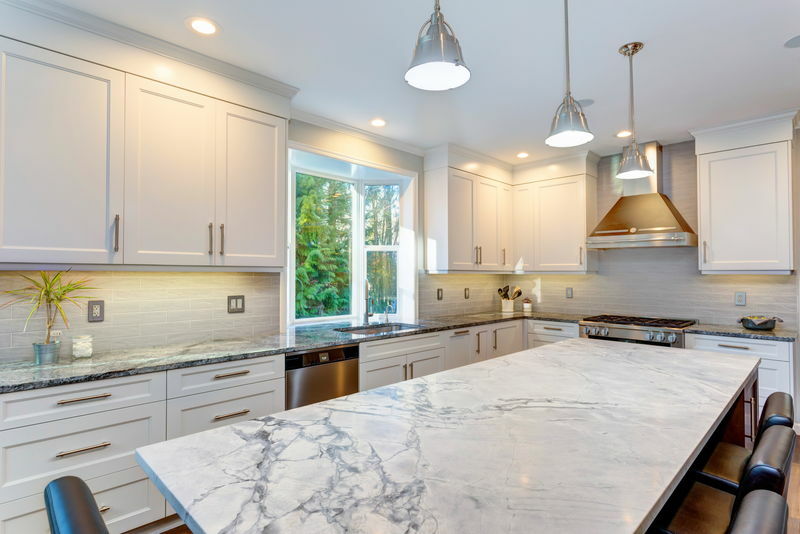 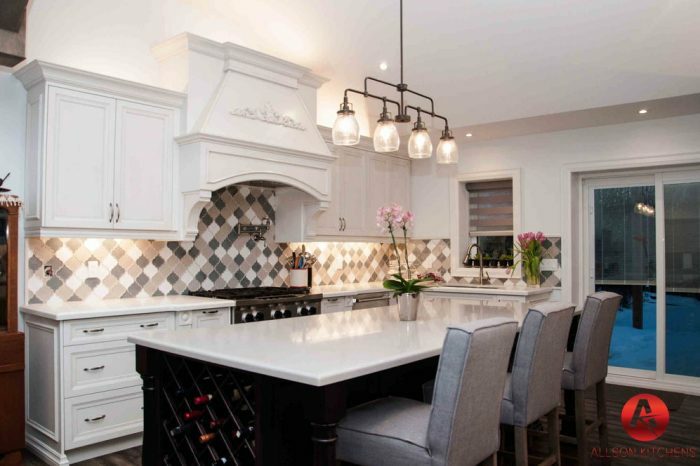 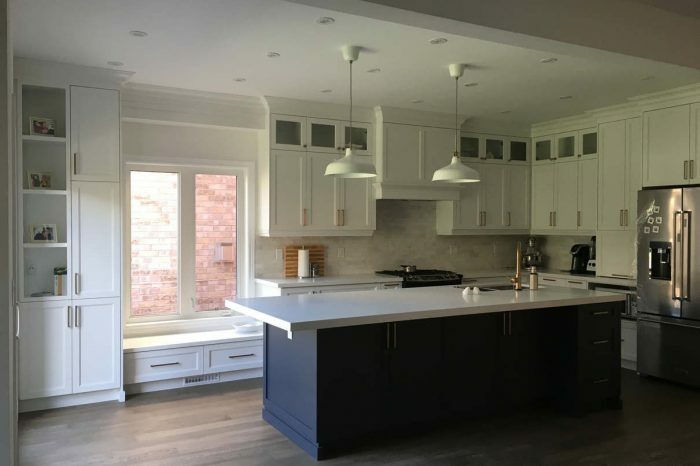 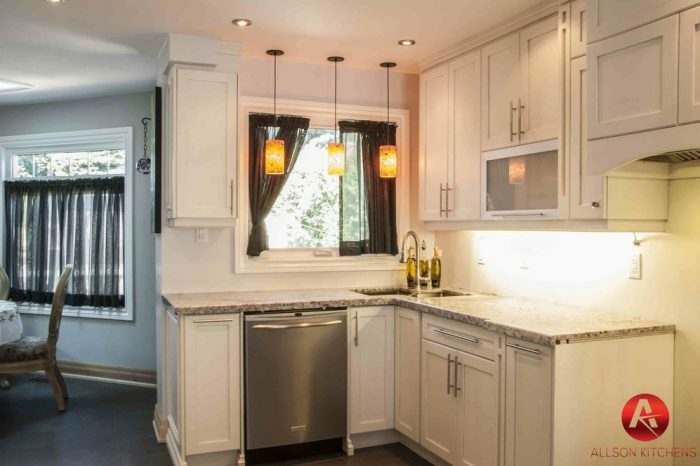 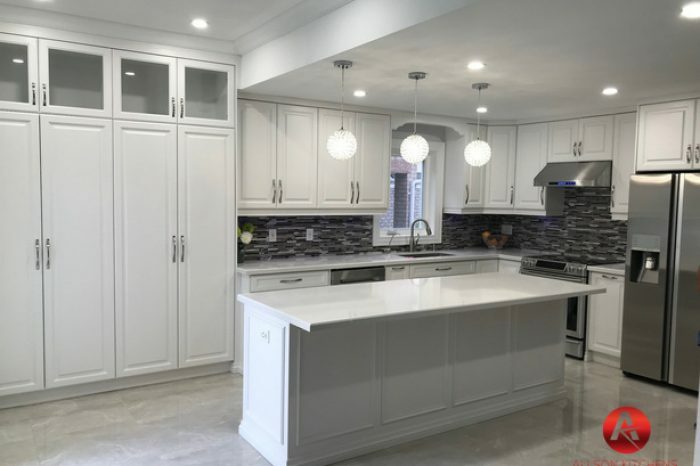 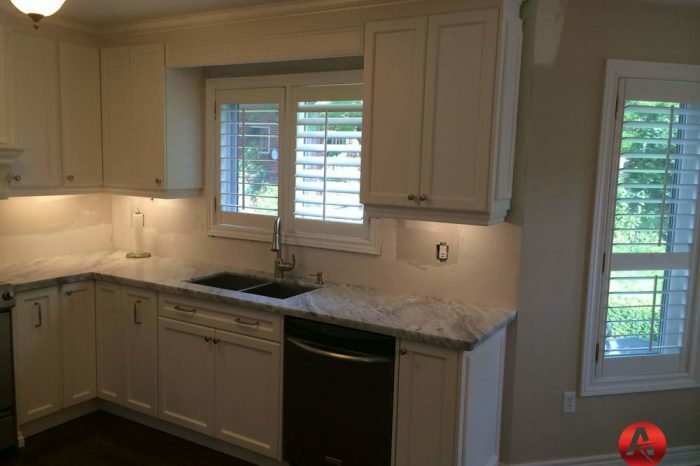 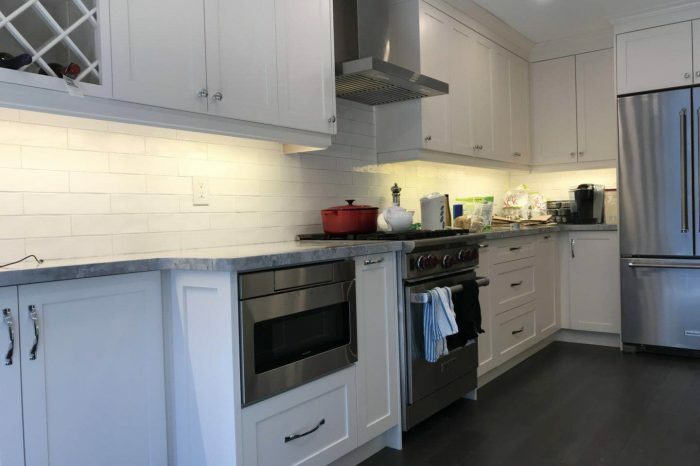 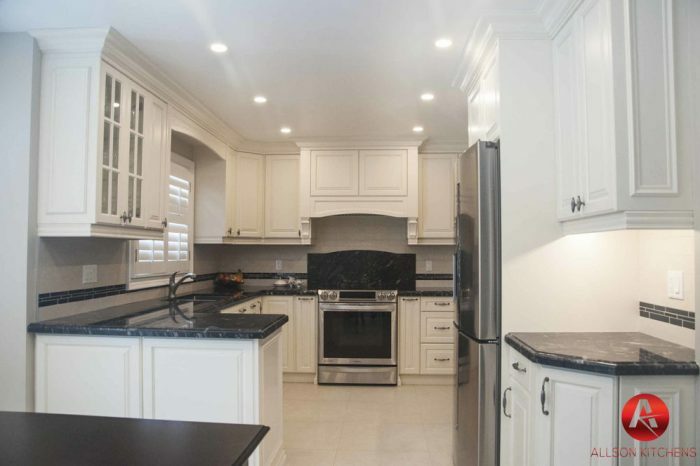 Read below to see the different type of kitchen cabinets and how other customers have incorporated those ideas to custom kitchens we have created! 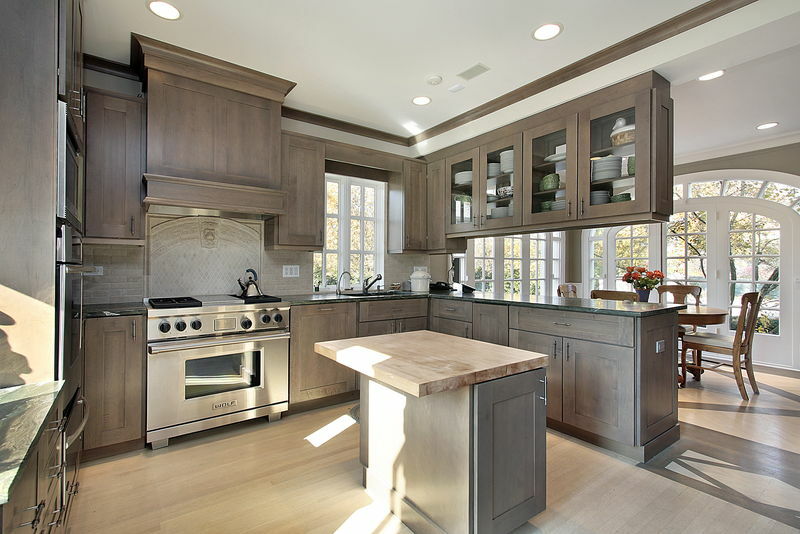 Shaker Kitchen Cabinets Consists of a frame created with 4 panels and a 5th panel used for the middle. 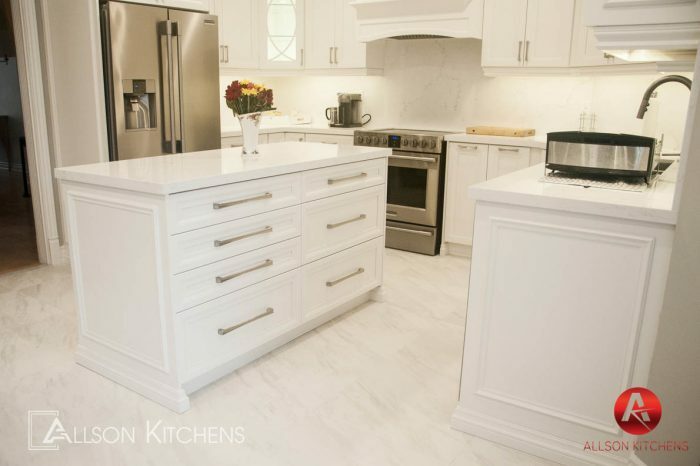 It offers a simple, yet classic, feel for the kitchen. 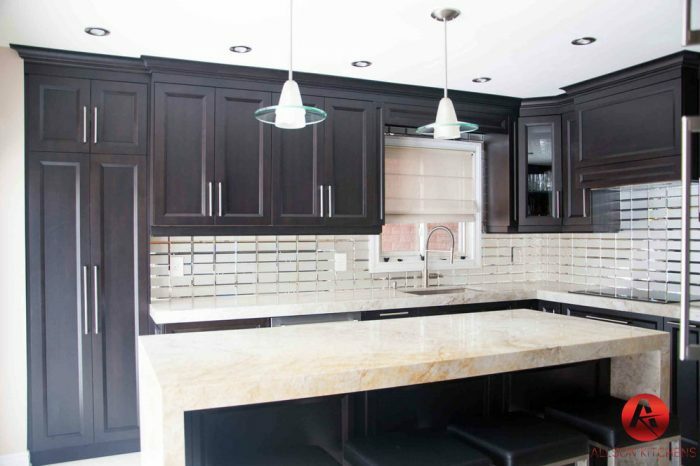 This style of cabinets is used when trying to create a contemporary or traditional design. 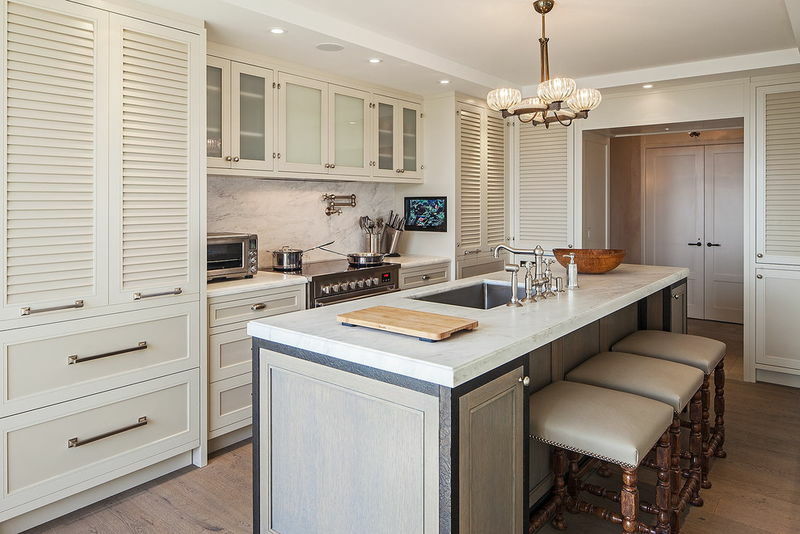 Louvered Kitchen Cabinets stand out with horizontal wooden slats built into the cabinets. 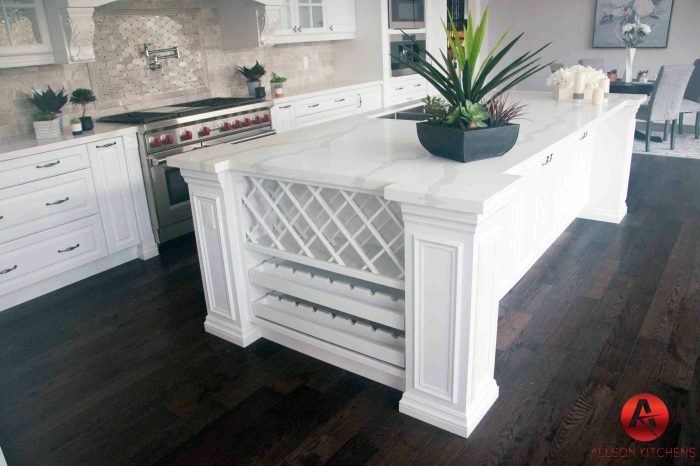 It offers the cabinet extra ventilation if required. 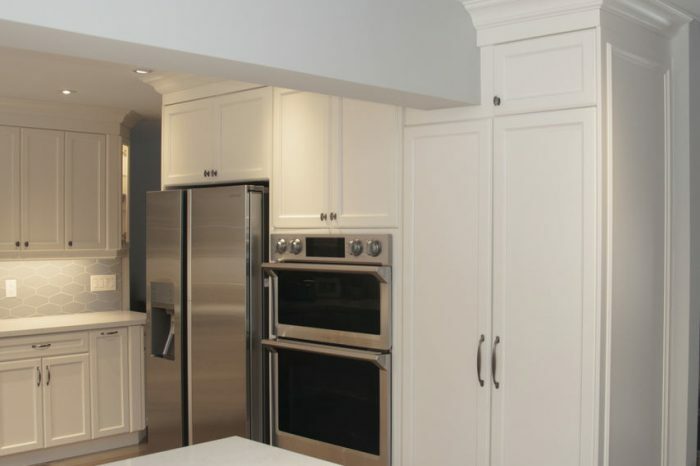 But watch out, this also makes it an expensive option to choose for a cabinet style. 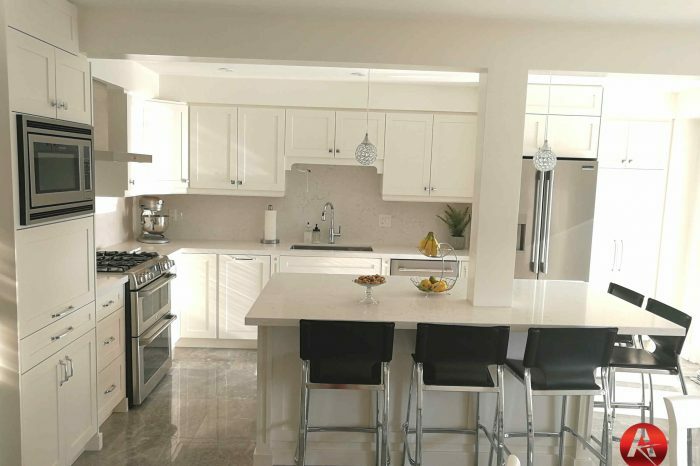 The flat panel kitchen cabinet offers a minimalistic look. 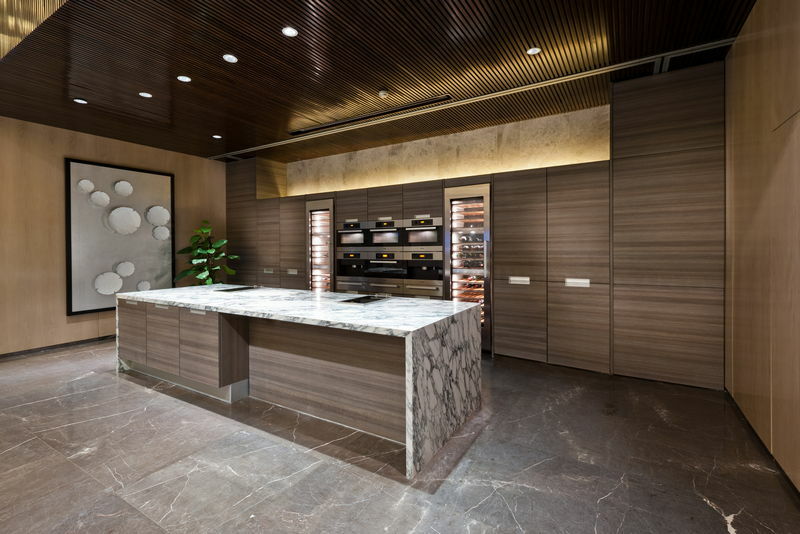 They are frameless design and created from one solid “slab” (which is why sometimes this cabinet style is considered slab). 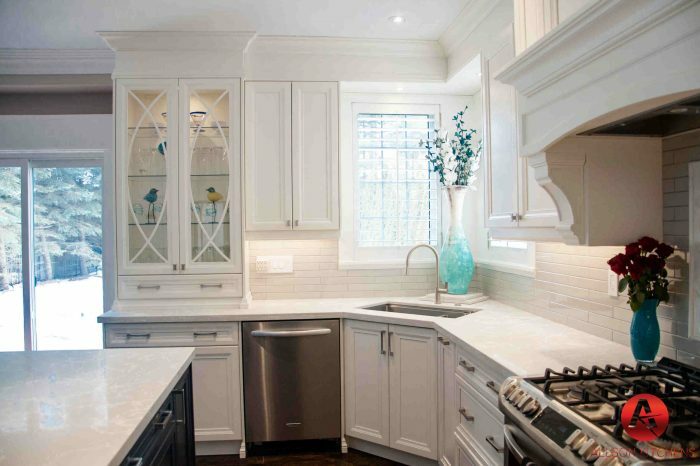 Inset-style cabinets are made up of an inset door set inside the cabinet frame instead of outside of the frame. 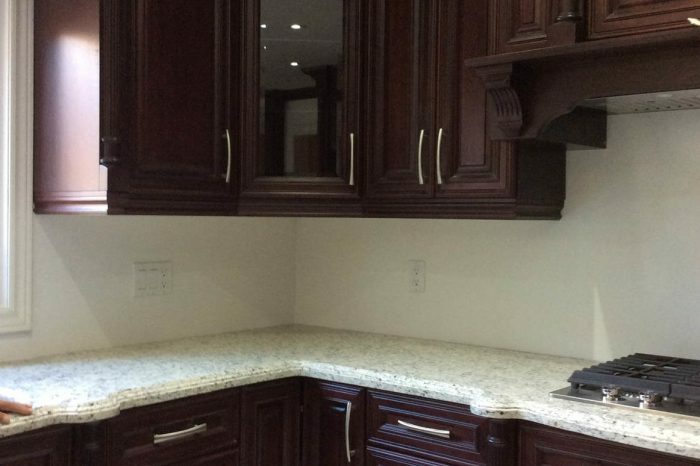 This gives it a full view of the cabinet frame and hides most of the gaps between cabinets. 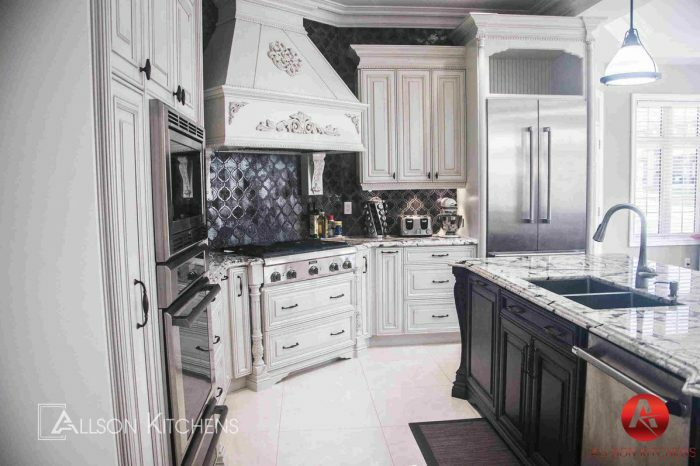 Distressed Cabinets will give you an antique-style kitchen. 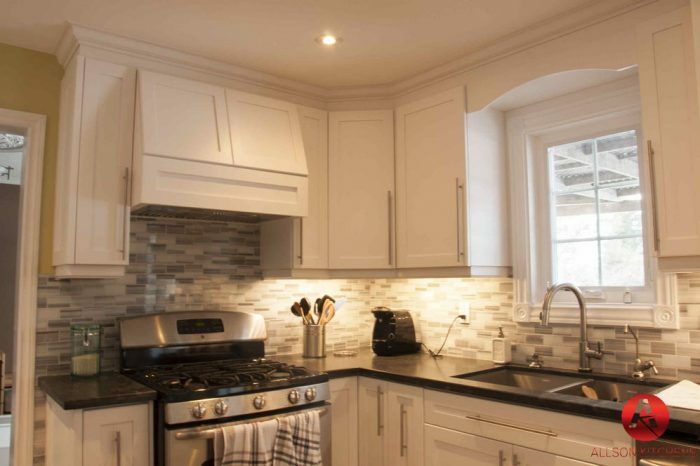 They come in any door style but with corners rubbed off giving it an “old feel”. 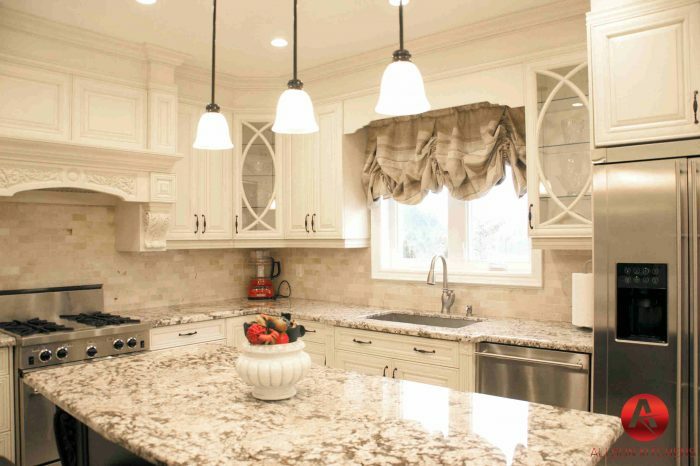 Thermofoil is made out of MDF (medium-density fiberboard) and baked in high heat covered in a specialized thermofoil film. 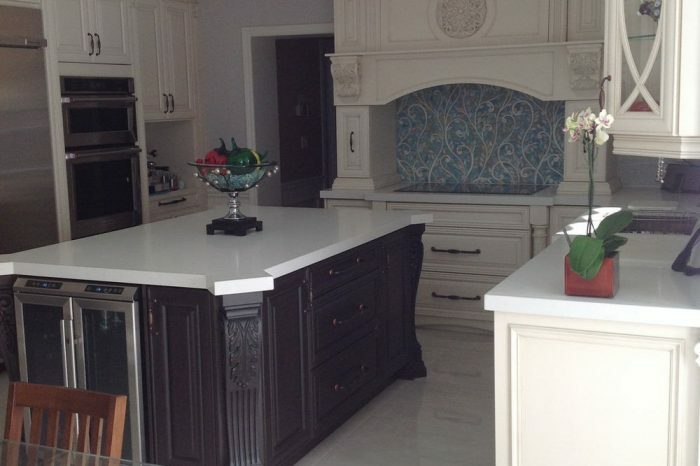 This thermofoil give this style of cabinets endless design possibilities.